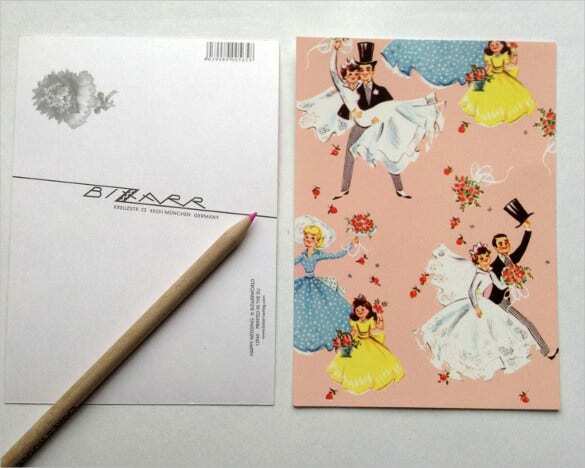 Wedding post cards are mostly used as a complementary attachment to the complementary wedding invitations which are sent to the friends and other acquaintances for inviting them for the gathering & celebration. These post card templates have information on the schedule and details of the various rituals and programs which are lined up for that particular event in terms of the date & time as well as the venue. 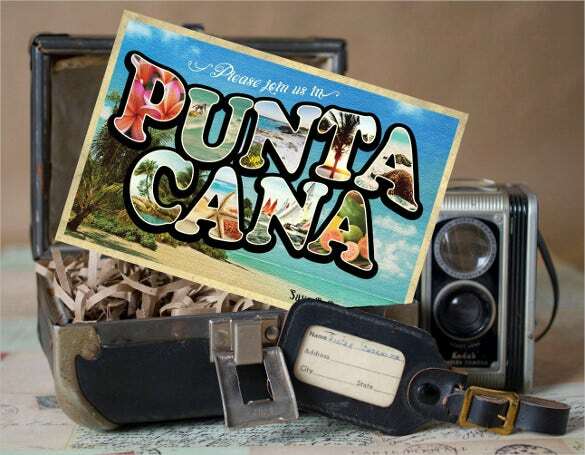 You can also see Advertising Postcard Templates. 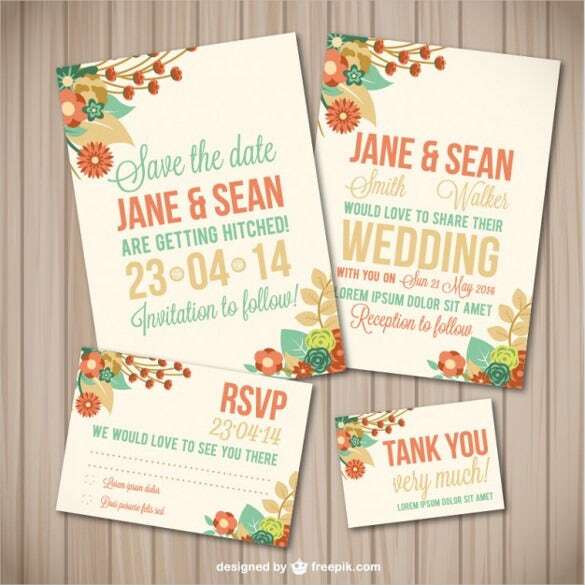 These post cards are often simplistic as it goes alongside the sophisticated and elegantly crafted invitation card. 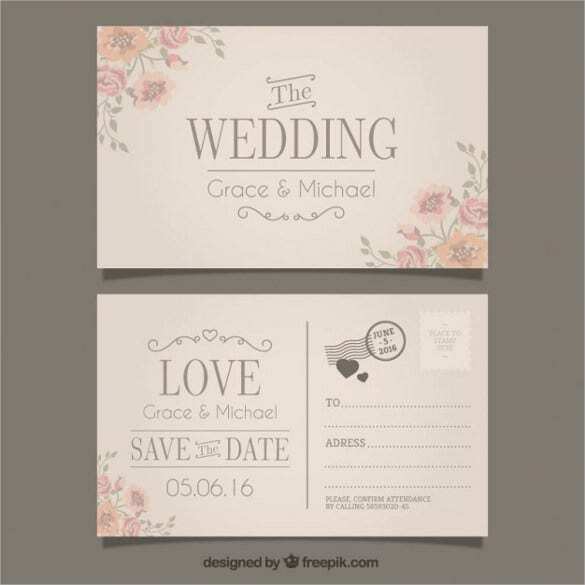 They are often designed using the existing samples of wedding post cards templates with minimal customizations here and there. 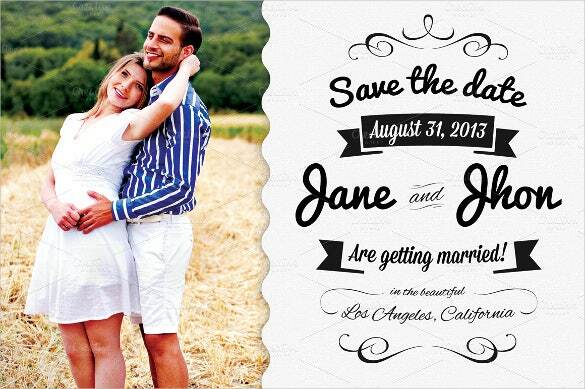 The wedding postcard in PSD is simple and beautifully designed sample wedding postcard template that you can use to invite all the guests to your wonderful wedding ceremony. 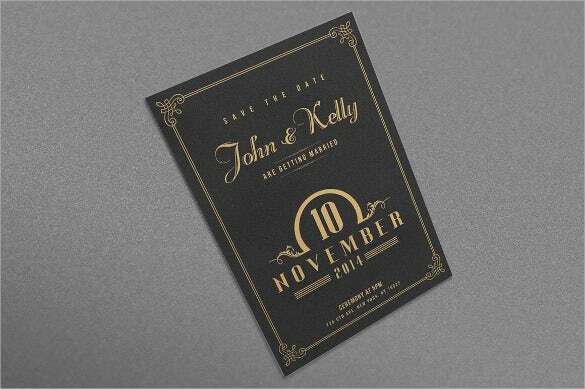 The save the date printable wedding postcard is a simple and normal looking sample wedding postcard template which uses a black background and golden colour to write the information needed in the card. 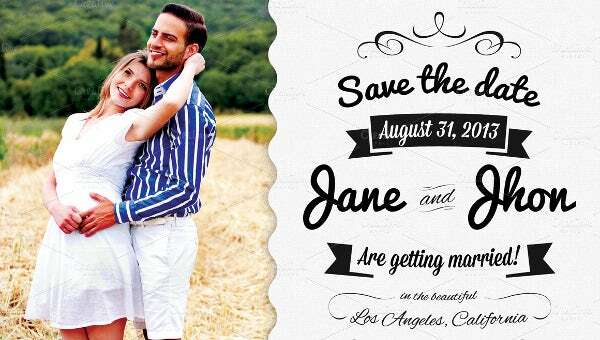 The save the date postcard template with custom photograph is an elegant and classy looking sample wedding postcard template which will be the perfect postcard template for your wedding. 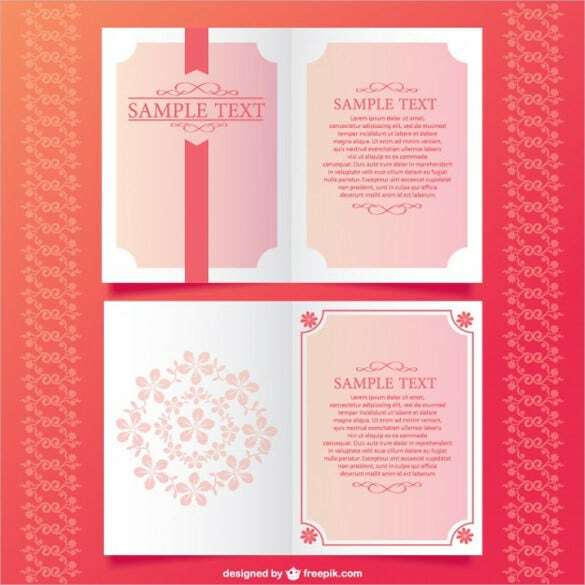 If you are looking for a simple and elegant looking sample wedding postcard template that will be used to invite everyone, then you have to use the elegant wedding postcard. 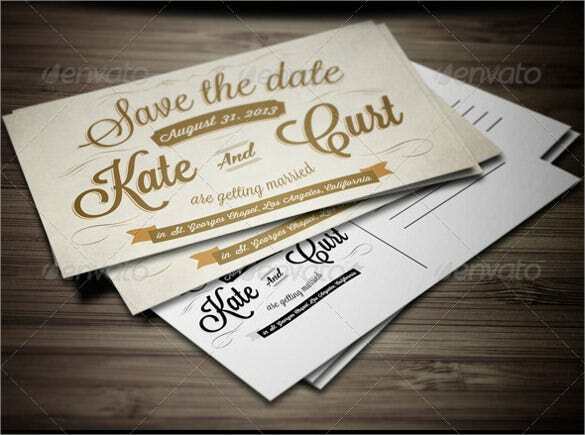 The wedding invitation in postcard style free vector is a simple and normal looking sample wedding postcard template which will be perfect if you are having a quite wedding. 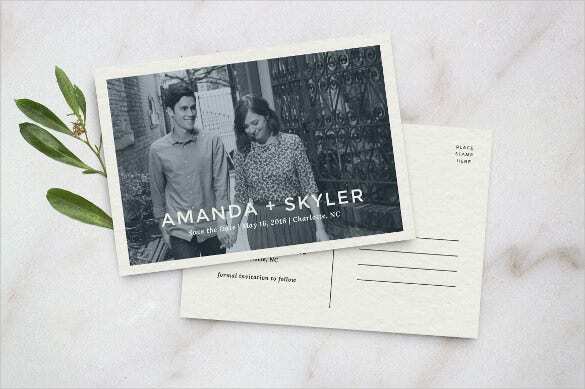 The wedding photo thank you note postcards is a beautifully designed sample wedding thank you postcard template that you can use to send thank you cards to all the invitees. 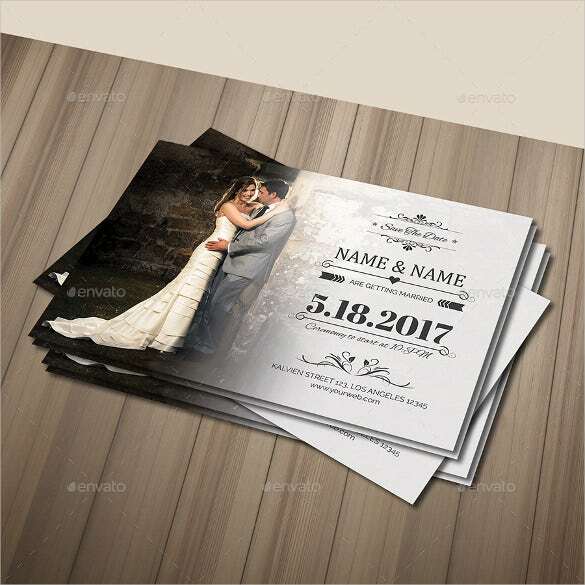 The vintage wedding postcard with photograph is an elegant and classy looking sample wedding postcard template that uses the photograph of the couple to create the wedding postcard template. 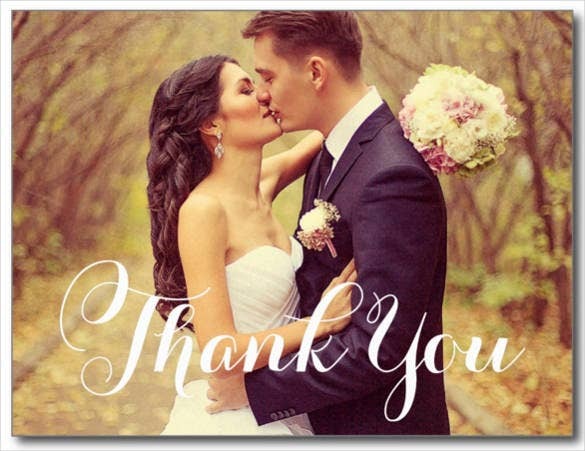 The love and thanks wedding postcard template is a simple and classy looking sample wedding postcard template that you can use as a thank you card to thank everyone. 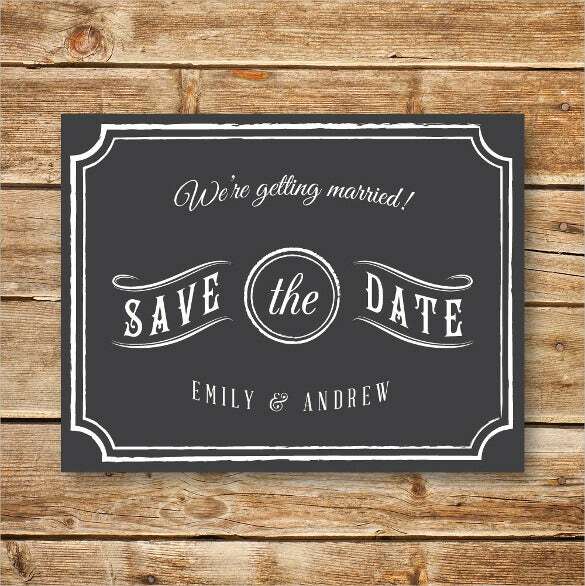 If you love wood design and you are searching for sample wedding postcard templates which uses wood designs, then you should opt for the wood design retro wedding card. 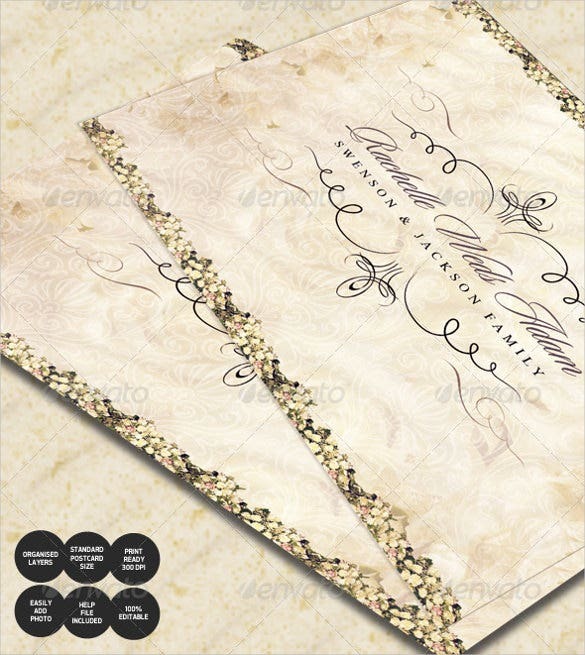 The simple vintage wedding invitation postcard is a simple and premium looking sample wedding postcard template that looks very elegant and will be the ultimate choice of many people. 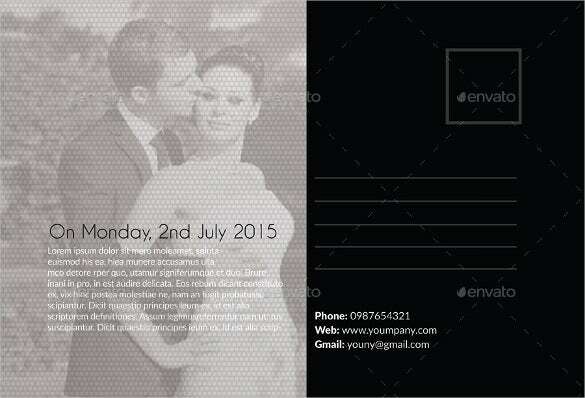 The black white coloured wedding postcard is a simple looking sample wedding postcard template that uses the photo of the couple to create this wonderful wedding postcard template. 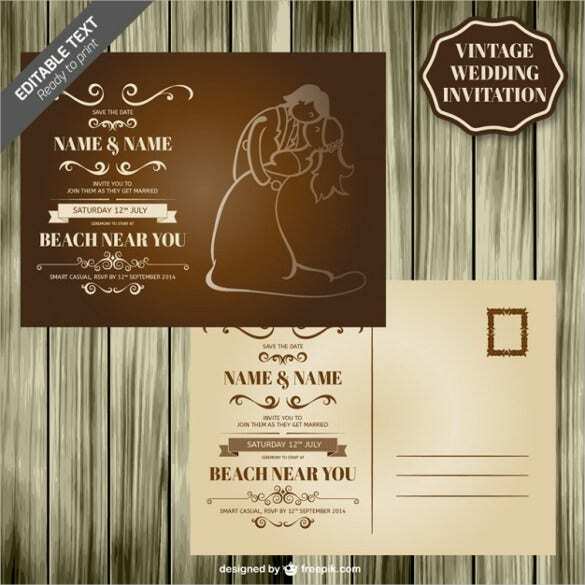 The vintage bride & groom wedding postcard is a simple and old fashioned sample wedding postcard template that you can use to send invitations to all the guests to the wedding. 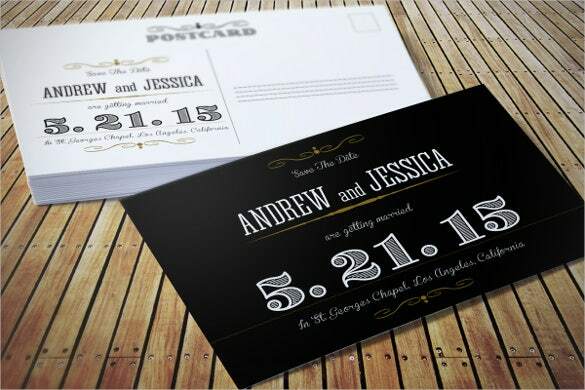 The wedding invitation postcard printable is a beautifully designed and awesomely created sample wedding postcard template that uses the photo of the couple and stylish font to create the template. 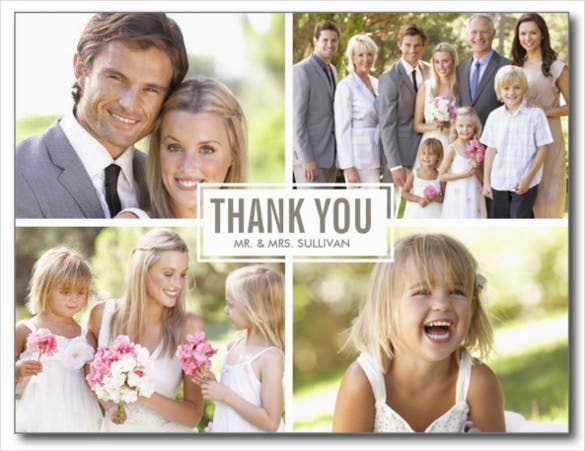 The modern photo collage wedding thank you postcard is a simple and gorgeous looking sample wedding postcard template that uses the photo of the wedding to create this thank you card template. 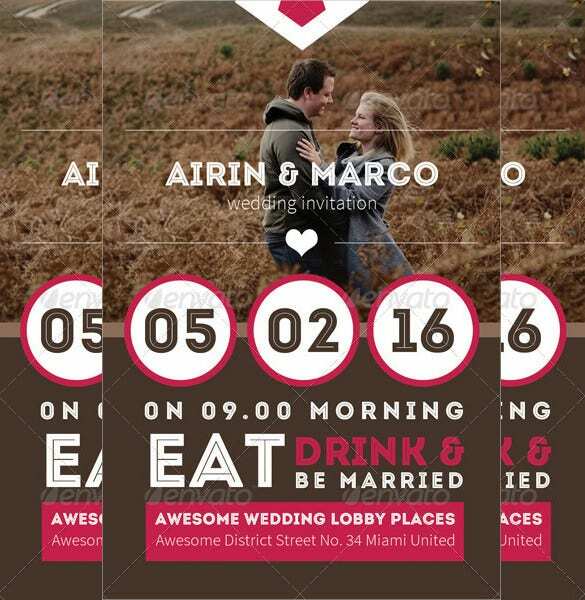 If you are looking for a simple looking sample wedding postcard template which will be fully editable and fully customized, then you have to use the fully editable wedding invitation postcard.